At the Under-9 level, West Coast Academy will be taking on White Hall in the first game at 8:30 after picking up 1-0 and 2-0 wins respectively in the semifinals. Interestingly enough, both teams came out of Zone B and finished with 13 points after four wins, a draw and a loss each. Even more interesting is that the draw resulted from their encounter in the preliminary round. So this match-up is expected to be a keenly-contested one. At 9:30, Mavericks Fire and Pro Shottas United will be crossing swords in the Under-11 final after they both booked their berths at the penalty spot. Pro Shottas (6) were second behind West Coast (10) in Zone A after taking two wins and two losses, while Mavericks also finished second in Zone B with 12 points from four wins and two losses. After a goalless draw, Mavericks pulled out a 1-0 win at the spot over West Coast. On the other hand, Pro Shottas won 2-0 at the spot after a goalless draw. 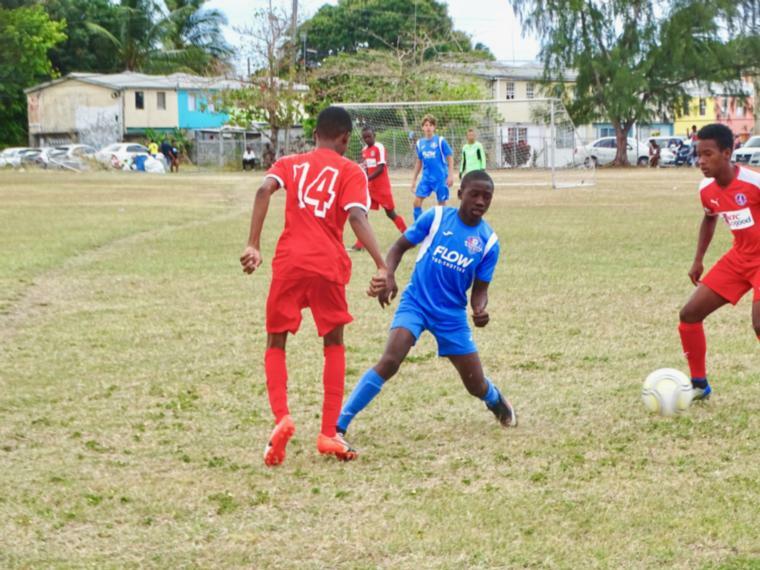 The Under-13 clash will pit Pro Shottas Spurs and Technique FC at 10:30 after both teams had clean paths to the final. Spurs (8) were unbeaten with two wins and two draws before dispatching Fitts Village 3-1 in the semi. Technique were flawless with six clean sheets six for wins in six games in the prelims, while they went on to beat Pride of Gall Hill 8-1 in the the penultimate game. Pro Shottas will be making a fourth appearance on the day when they come up against Mavericks Fire in the Under-17 final at 1:00 PM. Both teams topped their respective zones with Pro Shottas taking 13 from four wins, one draw and one loss, and Mavericks (12) going forward on three wins and three draws. In the semis, the Shottas blanked Technique 6-0 while Mavericks were good for a 3-1 victory over Kick Start. Come out and support the future of this nation's football. Admission is $5 for all games and children 12 and under are free.